Specializing in long distance moving, U-Pack Moving® combines the convenience of full service movers with the cost savings of a rental truck.How does it work? We deliver a moving trailer or moving container to your door, where you'll have up to three business days to load. 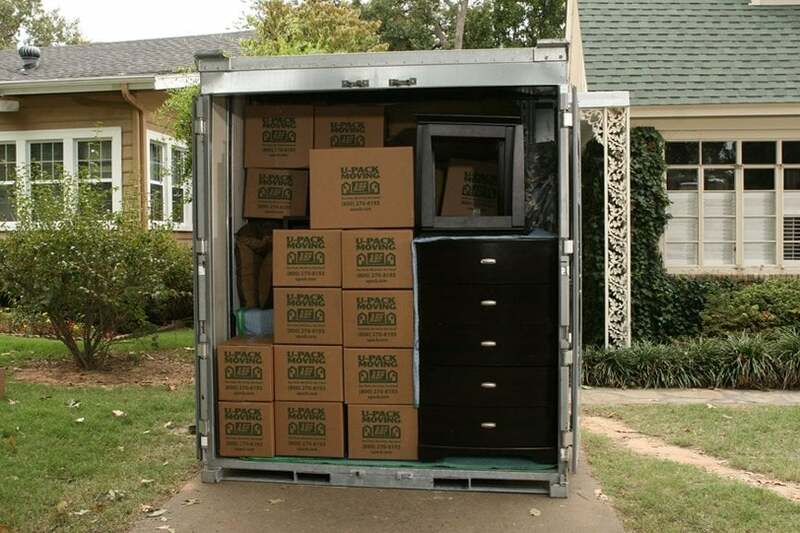 We drive your belongings to your new home, where you'll unload. There are no hidden costs or fees--fuel, road tolls, and the driver are all included in your price. And unlike traditional moving companies, U-Pack can move you practically anywhere in the United States in just 2-5 business days--that's fast! Moving boxes and supplies, guaranteed transit, and portable storage are also available to meet your specific needs and budget. 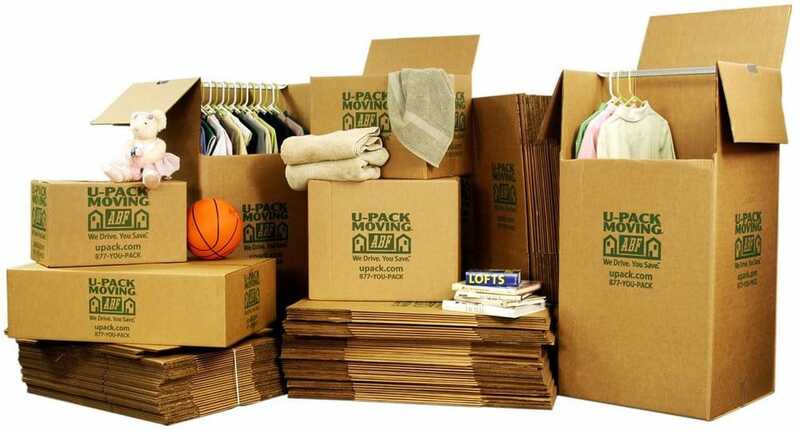 U-Pack is the convenient, affordable option for long distance movers: We Drive, You Save. Established in 1997. Since 1997, U-Pack has helped more than 825,000 families move safely to their new homes. That's over one billion miles on the road--and counting! Initial review - to be updated after we finish our move. This is only from the perspective of contacting their company and having a 28' truck/pod delivered to the curb in front of our house.We were overwhelmed as we began to sift through our various options - moving companies, rent a truck and drive it ourselves, get a pod...what's a pod?? Or just throw our hands in the air and call the Salvation Army & donate everything we have, then walk away.I was skeptical after entering our moving details on a website (I wish I could remember which one it was so that I could warn everyone). Because immediately, we began to receive multiple calls with bids and offers from pod places, moving companies, and I don't know who, offering their services for our move from California to Idaho.I then attempted to trudge through Yelp reviews & BBB ratings for some of the companies that contacted us. Somehow I stumbled upon ABF/U-Pack. There were mixed reviews on some of their Yelp pages, but nothing that screamed "SCAM. "Their customer service over the phone was amazingly wonderful. I've called them at least 5 different times to discuss various issues and concerns. They are so nice! They walked me through the entire process & left me feeling completely confident in their services.The 28' truck/pod was delivered curbside, directly in front of our house as promised. You have to be home when they do drop it off, so that you can tell them exactly where you want it.After we finish loading the truck, we'll call them and arrange a pickup time/day (Yes, I'm taking a break from loading the truck so that I can Yelp about it).Once they take the truck/pod, you've got a couple options: 1. Have it delivered to a specific address & left for you to unload over the course of several business days.2. Have it shipped to a storage facility. That includes an additional monthly charge of around $390 for the 28' truck/pod. When you're ready for it to be delivered, you just call them & they bring it from storage to your new address.I highly recommend U-Pack Moving. 7/20/17After writing my review I was contacted by Upack and offered a $100 credit which I appreciated greatly. As I said, the people who work there are very nice to speak too, just make sure you read ALL the fine print. First let me say that my first experience with U-pack was great, which is why I used them again a month later. Unfortunately my second experience was NOT GOOD. The trailer and ramp were supposed to be delivered on June 12th; the trailer was delivered, but not the ramp. The trailer does me no good without a ramp, as the bed of the trailer is four feet off the ground. 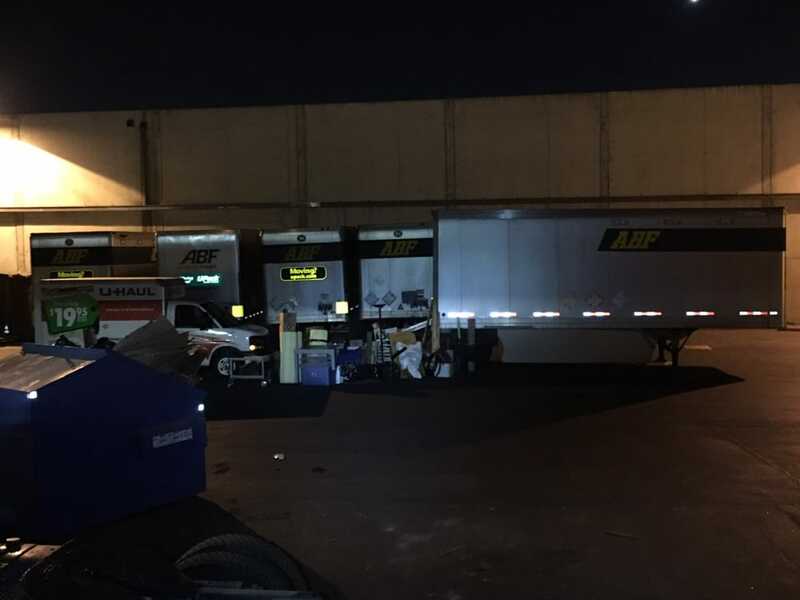 The driver said that there were no ramps available, as the company had over-booked and that there were more trailers than ramps, and therefore we were "out of luck." I immediately called the corporate number and spoke to a gentleman named Alec or Alex. He understood that I was a repeat customer and that I was 68 years old and couldn't lift heavy furniture 4 feet off the ground. He assured me that he would do everything that he could to get me a ramp. Three days later, no ramp was delivered. I had to hired some students to load what they could at an out-of-pocket expense of $300 for two hours of work. My son had to help me load the rest of the 28 foot trailer. The gentleman from corporate never once called to check on my status like he said he would. I'm very upset with U-pack's inability to quickly provide me with a ramp. A corporation of this size should have a back-up plan for such events and do everything in their power to fulfill their obligations and retain a repeat customer. Also, when the trailer arrived at my home, I noticed that the roof was leaking and that there were large tears in the fiberglass roof of the trailer. The driver assured me these would be repaired at the depot before shipping my goods out of state, but when the trailer arrived at the destination, the holes in the roof were not repaired, as the driver had assured me they would. Fortunately, my gut instinct told me that U-pack would not make good on their promise, so I duct taped the tears myself and used plastic wrap to protect my furniture from leaks in the trailer roof. Except for a few wet boxes, my belongings arrived safely, but only because I took precautions knowing U-Pack would not make good on their word to repair the trailer. If you receive trailer 82099 from U-Pack, check the roof!Also I'm waiting to see if U-pack honors their promise of giving me a $300 dollar discount for the inconvenience. I will keep you posted if they do or do not keep their word. A driver with U-pack told me that the company has been in the moving business less than 12 years, and commercial freight is their main priority, thus the moving business takes a back seat. I used U-Pack to ship all my stuff from Los Angeles to Atlanta and they were great! They came highly recommended by a friend of mine who also used them for a cross-country move. The price was better than their competitors', as was the shipping time and delivery window. Everyone I dealt with was very professional and courteous. Because I was moving from an apartment that didn't have an accessible parking lot for the relo-cubes, I had to get a permit from the city in order to have my cubes parked on the street, but U-Pack informed me of that ahead of time. They also provided two cubes at my request, although they were pretty sure I would only need one. They were right! I was never charged for the second (empty) cube, just as they promised. Will definitely be using them again if I make a big move. Thank you, U-Pack! The u pack people went out of their way to accommodate my request that the trailers be picked up same day on both ends..and the pick up drivers were really nice.